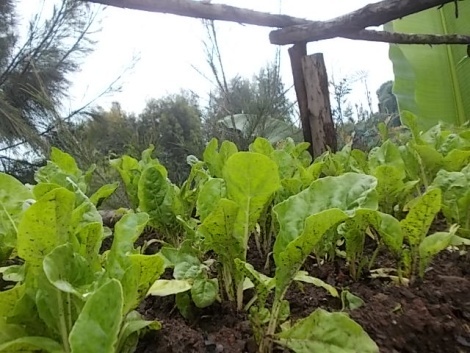 In the fall of 2010, Corvallis Slow Food leaders returned from the Terra Madre conference in Italy with a new idea for US Slow Food chapters: to partner with individuals and institutions abroad, and create “1000 Gardens for Africa”. These gardens would help to create relationships between chapters separated by geography, but united in their goal of promoting good, clean fair food. 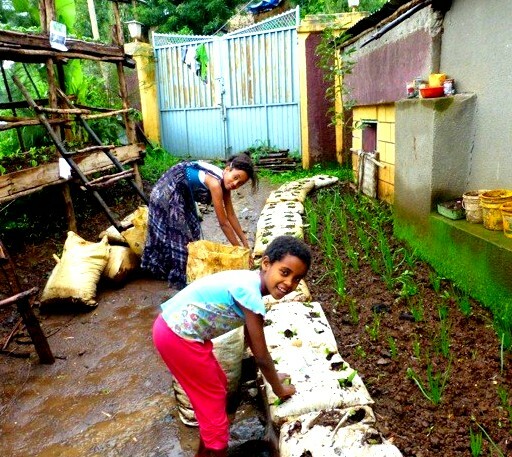 Slow Food Corvallis leaders responded positively to this idea, and, following our philosophy of working closely with organizations in our area where goals overlap, began to develop ideas for a project with the Corvallis-Gondar (Ethiopia) Sister Cities Association. Since 2005, C-GSCA has been working in the areas of education and provision of clean water, has developed relationships with Ethiopian organizations, and continues to develop these relationships with regular visits. On Terra Madre Day in December 2011, Slow Food Corvallis held its first fund-raiser for an African garden, raising $1100 by selling a hot and delicious African meal to participants. 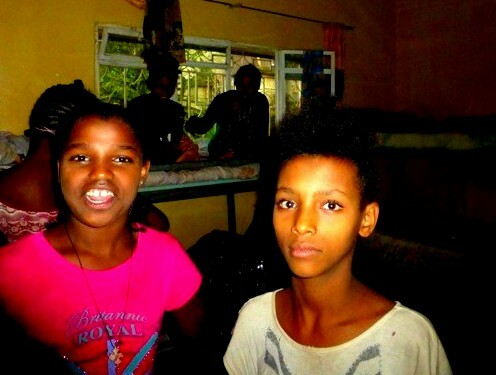 In 2012, C-GSCA helped us to identify a potential collaborator in Ethiopia: Yenege Tesfa, (“Hope for Tomorrow”), an organization which houses and educates orphans from the city of Gondar. $1100 was transferred to Yenege Tesfa in May of 2013. We expected that within a year, the funds would be used to begin a garden at one of the four homes for orphans, the Tayitu Girls’ Shelter. Little did we imagine what would be accomplished in just three months! Nigisti Gebreselassie, Yenege Tesfa’s able manager, and Maxine Prickel of C-GSCA, provided these photos, and a short report indicating that a set of raised beds is already beginning to produce beets, onion, tomatoes, garlic, cabbage, carrots, lettuce, spinach and peppers. As Nigisti says in her report, the project “has managed to grow a large amount of vegetables using a very small surface of land”. 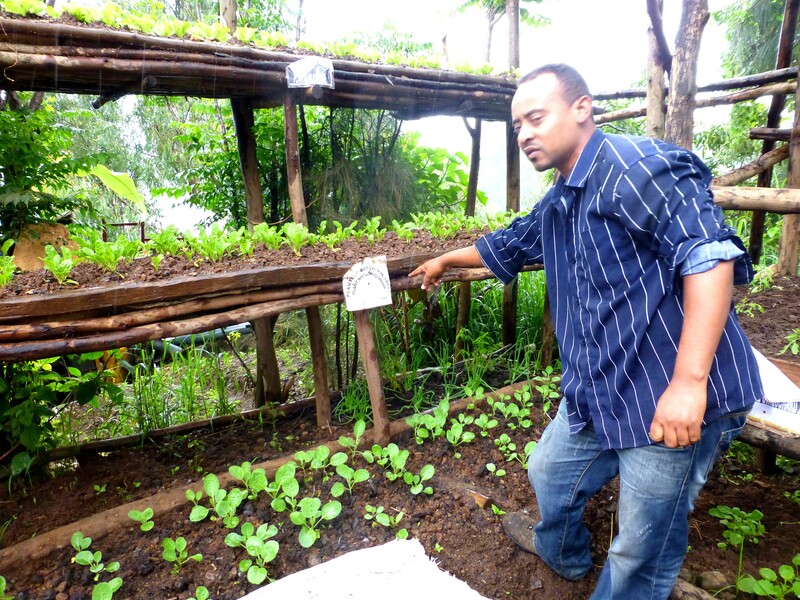 The project is already beginning to achieve its goals of demonstrating how productive urban agriculture can be, when resources are carefully used. A local social worker/agricultural instructor is teaching the girls at the shelter to build and maintain the beds, some of which resemble the bunk beds in which they sleep! Plans are afoot to expand the garden program to other buildings of the orphanage. Visit the Slow Food Corvallis Facebook page for more photos, or you can also find Yenege Tesfa on Facebook or at their website.